What is the Best Time of the Year to Map Your Lake? Right Now! The Mapping Network maps lakes throughout the entire year but typically the best time to map a lake is from fall until spring, while the weeds are down. Understanding exact acreage, depths, and chemistry of your lake are critical factors for making the best management decisions in 2012. Armed with this knowledge you will be able to properly place structure, deliver appropriate stocking densities, select the correct fish species, apply the right amount of weed control, and of course gain a better idea where those bass may be hiding! An accurate lake map provides the information needed to make the most of your aquatic resource. The Mapping Network provides the highest quality and is the most affordable bathymetric mapping system on the market today. 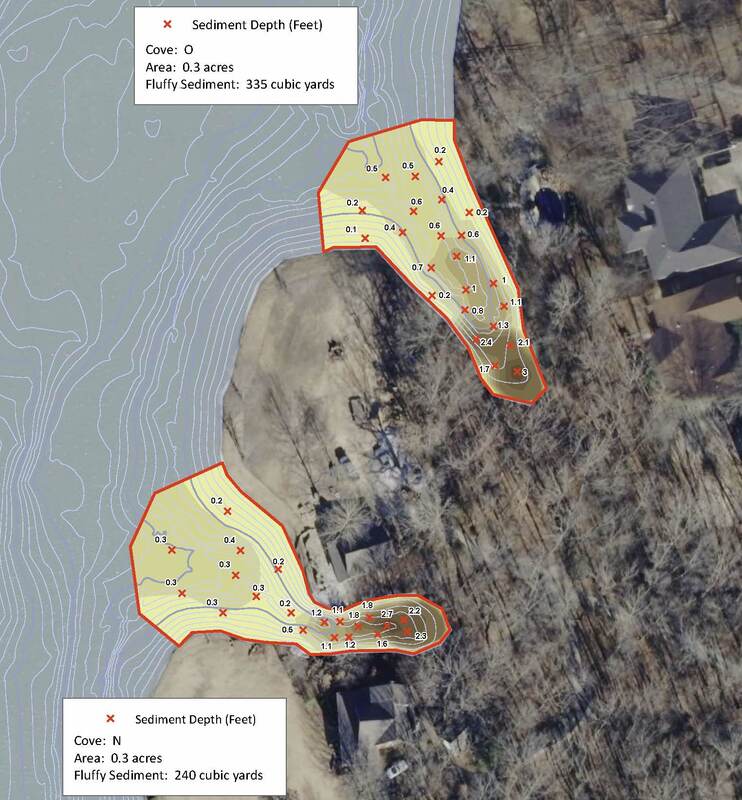 If you are serious about maintaining a high-quality lake or pond, be sure you have the ability to make the best decisions, get your lake mapped by the professionals at The Mapping Network. Give us a call or send an e-mail to find out more details. 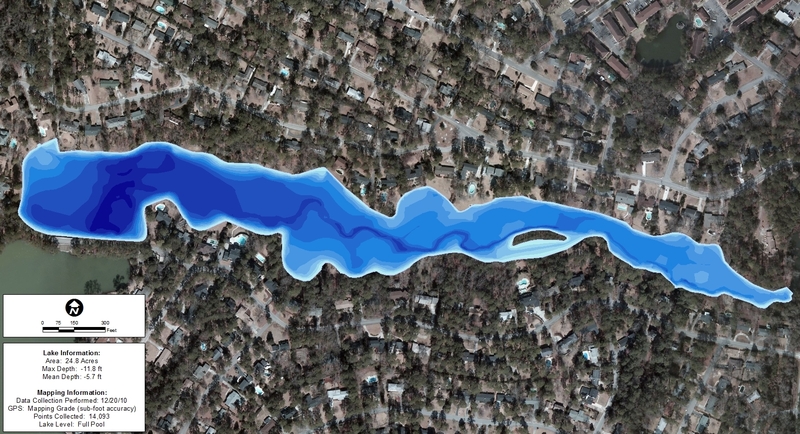 3D color-shaded depth map created by The Mapping Network shows extensive detail of the lake bottom. This entry was posted in Lake Map and tagged arkansas lake map, Bathymetric Map, Bathymetry, Dredge, dredging a lake, dredging a pond, dreging, Fishing, GPS, GPS Lake, GPS Map, lake, lake dredge, Lake Management, Lake Map, Lake Mapping, lake sediment, Lake Survey, Missour River Flooding, save money dredge, Sediment, sediment map, sediment problems, sediment removal, Sedimentation, Survey, The Mapping Network on September 13, 2011 by Moderator. What is Being Left on the Bottom of Your Lake? Most lakes and ponds are fed by rivers and creeks and water isn’t the only thing being carried into the lake. Something unseen is slowly accumulating on your lake bottom – Sediment. When flooding occurs, the increased river levels cause extremely high amounts of sediment to be deposited into your lake. Sedimentation is one of the costliest problems facing lakes due to the difficulty of removal. If you live on a lake that is fed by a creek or river, there is a high need to monitor and map out sediment accumulation. Learn more about our Sediment Mapping here >> Sediment Mapping Detailed. Here at The Mapping Network, we specialize in accurately mapping bodies of water, calculating the water volume, collecting sediment depth samples at critical areas and monitoring the distribution of sediment over time. We have a nationwide group of professionals specializing in all facets of lake management. If you are serious about maintaining a high-quality lake or pond, be sure you have the ability to make the best decisions, get your lake mapped by the professionals at The Mapping Network. Give us a call or send an e-mail to find out more details. Locations of sediment depth points collected. 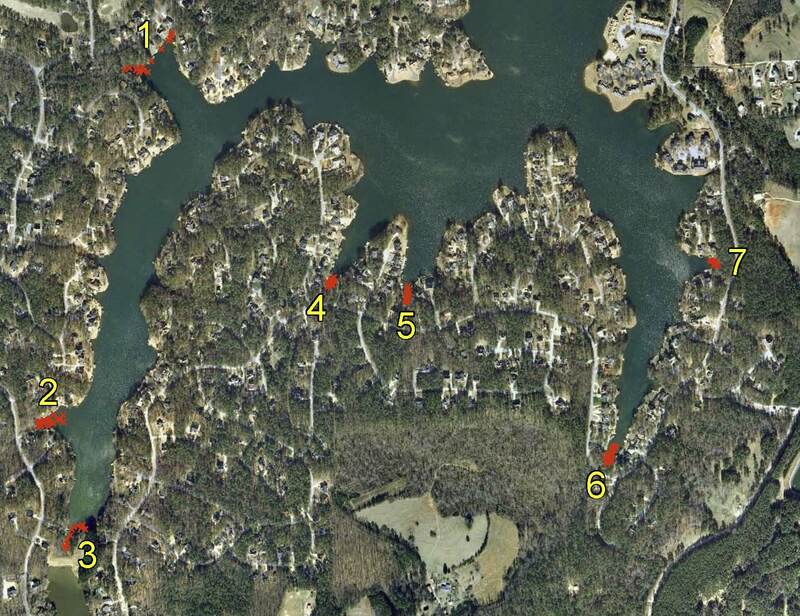 Each cover where a creek entered the lake was surveyed for sedimentation. The results of this project will assist lake managers in creating dredging plans. Map displaying sediment depths with color-shading to visualize the areas of high sedimentation. This entry was posted in Lake Map, Sediment and tagged arkansas lake map, Bathymetric Map, Bathymetry, Dredge, dredging a lake, dredging a pond, dreging, Fishing, GPS, GPS Lake, GPS Map, lake, lake dredge, Lake Management, Lake Map, Lake Mapping, lake sediment, Lake Survey, Missour River Flooding, save money dredge, Sediment, sediment map, sediment problems, sediment removal, Sedimentation, Survey, The Mapping Network on September 8, 2011 by Moderator. This entry was posted in Lake Map and tagged arkansas lake map, Bathymetric Map, Bathymetry, Dredge, dredging a lake, dredging a pond, dreging, Fishing, GPS, GPS Lake, GPS Map, lake, lake dredge, Lake Management, Lake Map, Lake Mapping, lake sediment, Lake Survey, Missour River Flooding, save money dredge, Sediment, sediment map, sediment problems, sediment removal, Sedimentation, Survey, The Mapping Network on August 15, 2011 by Moderator.